Black Leaf Beaded Edge Charger Plates 13 inches diameter. 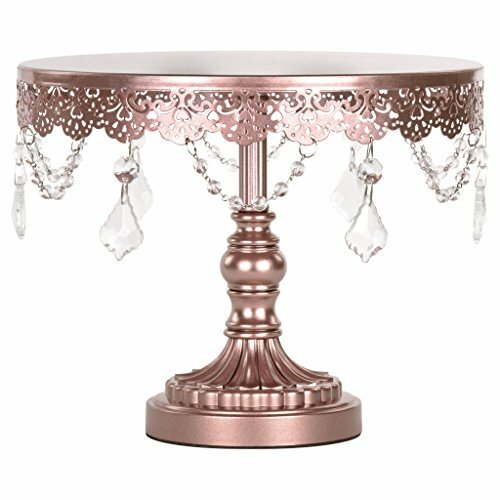 Solid acrylic base with beaded edging to enhance the appearance of your reception table. Easy to clean, wipe with damp cloth or sponge. 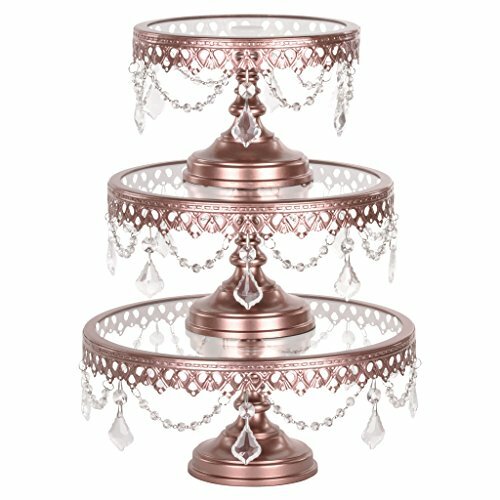 Great use with fine china, and protects the linens from the plates & bowls. **Charger plates cannot be used as dinner plate themselves. **Inner ring measures 9"; diameter. **Sold in sets of 24 plates. If any chargers are damaged in transit, replacements can only be sent via UPS Ground or Refunded, solely at our discretion. Note: Chargers are manufactured to have circular groove design throughout. This is normal, and is not a defect. 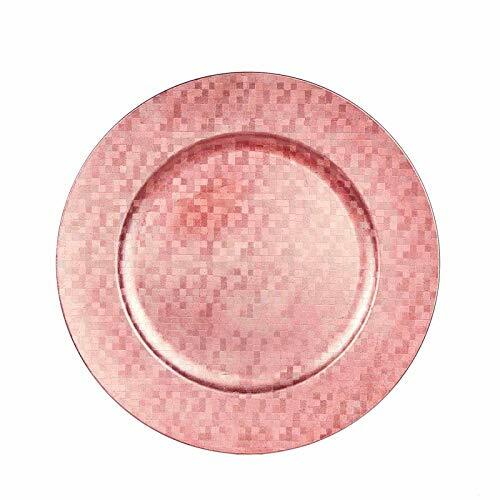 Blush Charger Plates 13 inches diameter. 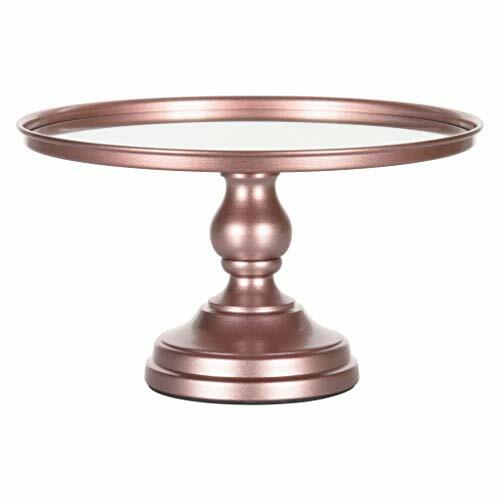 Solid acrylic base enhances the appearance of your reception table. Easy to clean, wipe with damp cloth or sponge. Great use with fine china, and protects the linens from the plates & bowls. **Charger plates cannot be used as dinner plate themselves. **Inner ring measures 9" diameter. **Sold in sets of 24 plates. If any chargers are damaged in transit, replacements can only be sent via UPS Ground or Refunded, solely at our discretion. Note: Chargers are manufactured to have circular groove design throughout. This is normal, and is not a defect. 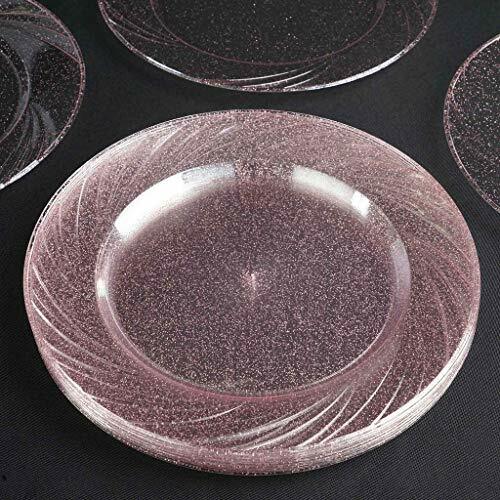 Bring a touch of royal sheen to your dining experience by glamming your tablescapes up with our exquisite gold dust sprinkled heavy duty clear plastic plates. 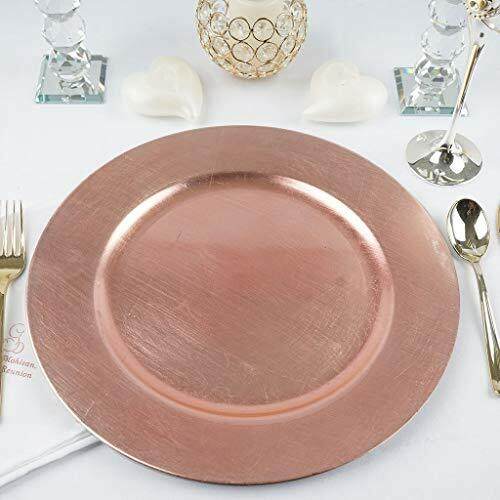 Perfect for wedding dinners, reception feast, holiday banquets, and culinary events, these premium quality plastic plates will enhance the elegance of your party tables with their glitzy gold glittered accent and fine finishing. No need to break the banks now to attain that classy feel and regal radiance your special events deserve. Crafted from clear plastic and beautifully accentuated with sparking gold dust sprinkled throughout and glittering gold rims, these chic plates will add imperial shimmer and surreal sophistication to your banquet tables. 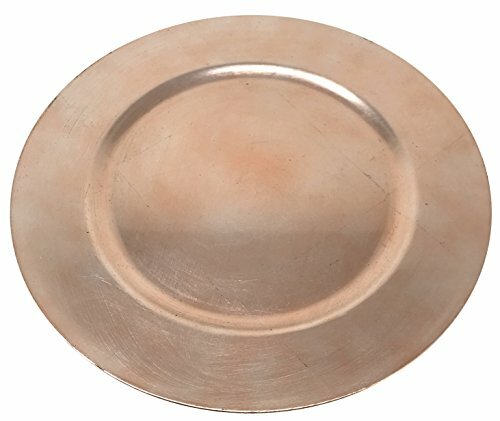 Inspire your guests and invitees by sumptuously serving your appetizers, salads, main course, desserts, and other signature dishes in these dazzling plates. 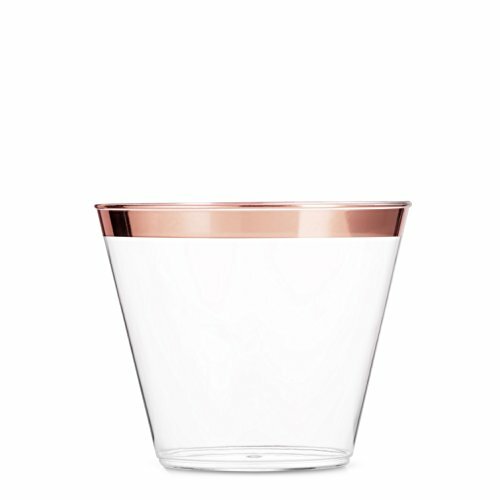 The heavy duty food grade plastic will withstand your hot and cold servings while glimmering glittered design will make them appear more tempting and delightful. 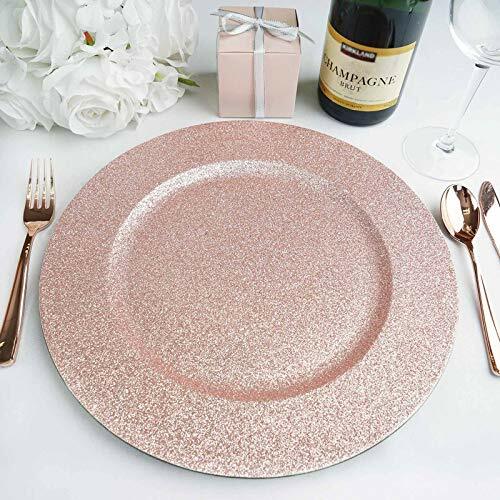 Create the perfect mood for every dinner occasion with these stunning glittered chargers. 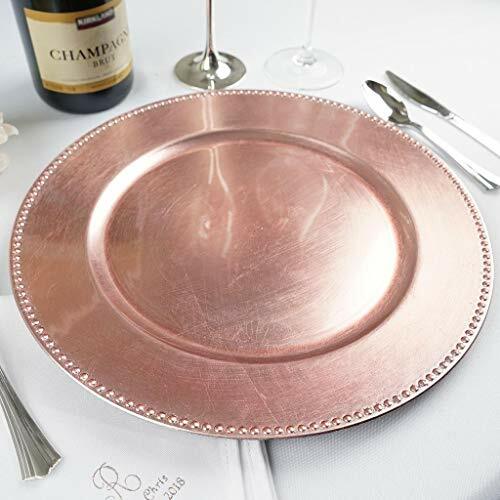 Use our charger plates to enhance the appearance of your reception tables. Great to use with fine china and to protect the linens from the plates and bowls. They are easy to clean, just wipe with damp cloth or sponge. WHAT YOU GET: Each order is for 6 charger plates. Measurements: Width: approx. 13 inches.Inner indention width: approx. 8 inches in diameter. Material: Polypropylene. Note: Charger plates cannot be used as dinner plate themselves. At Springbok Creations, we seamlessly merge industry-leading elegant disposable dinnerware with premium design principles. Each set of 100 disposable plates is crafted to meet the highest standards that thousands of Springbok Creations customers have come to expect from us. With durable materials that won't droop, melt or break, our clear plastic plates are second to none. Each set of 100 plastic dinner plates is rigorously tested by our quality inspection team before they leave the factory. If our disposable dinner plates don't meet the highest standards, then we don't sell them, simple as that! 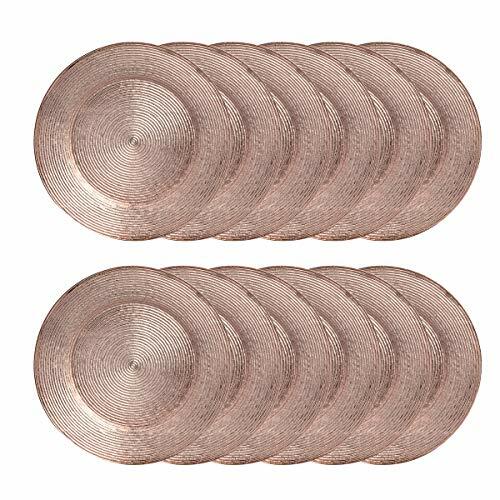 These charger plates add elegance to any dining experience, serving guests on shiny gold with a circular pattern. 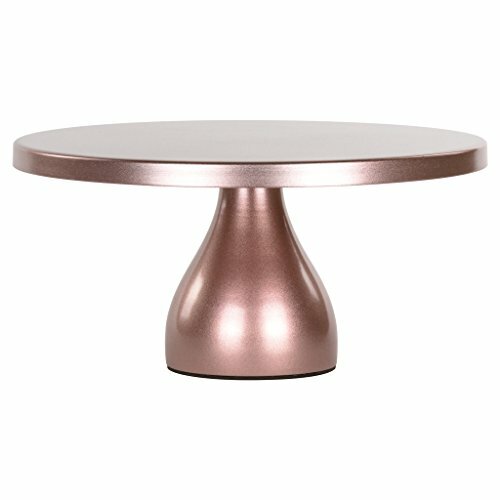 They're also practical, fitting under dinner plates to catch food and spills, keeping the tabletop clean. 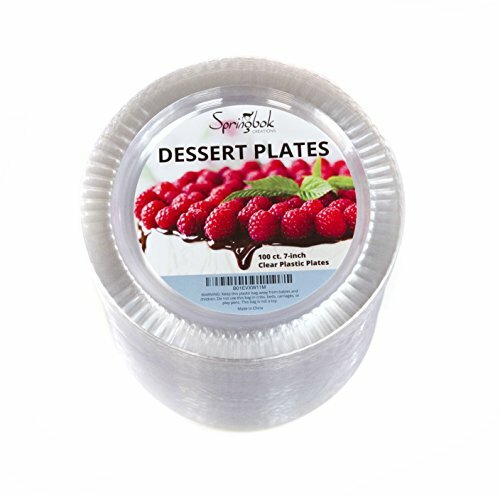 Topped with cloth napkins, they're nice for serving bread, rolls or baked desserts. They'll make a fine centerpiece, or classy décor anyplace in the home. Nothing dresses up a place setting like a charger!Acts as a dressy base for dinner plates, and is intended for decor purposes only - food should not be placed directly on plate charger. They are easy to clean, just wipe with damp cloth or sponge. 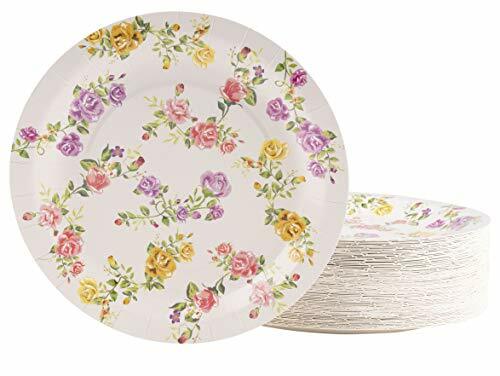 Great to use with fine china and to protect the linens from the plates and bowls. WHAT YOU GET:Each order is 6 charger plates.Each Charger measures 13 inches in diameter. Inner ring measures 9 inches in diameter. 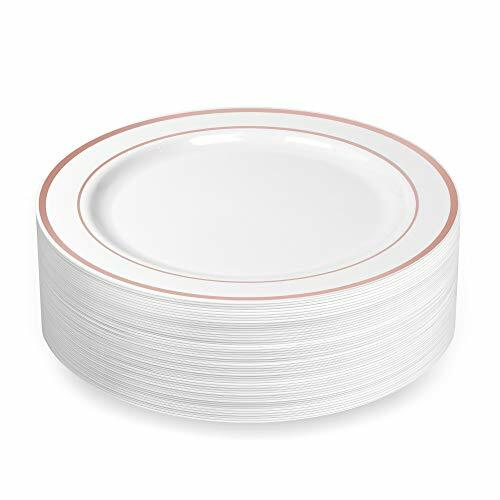 Material: Polypropylene.Charger plates cannot be used as dinner plate themselves. Far beyond just a lock in a box, Reserve opens the door to a customizable world of door hardware. 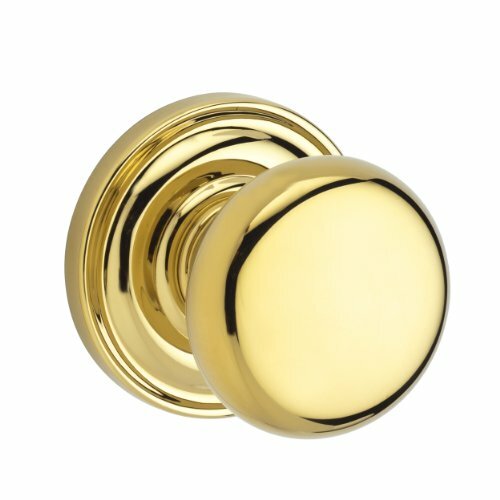 Reserve is available in passage, privacy, keyed, and dummy interior knobs and levers that coordinate with Reserve handlesets. Door locks are available as handlesets, deadbolts, or interior door levers and knobs. The options are nearly endless, so you can create your own signature look. Baldwin door hardware is available in 9 Finishes including 4 Reserve only finishes, with a range of products available in traditional, contemporary and rustic styles. Reserve door locks are easy to install and configure on your own meeting the needs of today's builders, designers and homeowners. Take Baldwin throughout your home with cabinet hardware and enjoy well-designed hardware with beautifully detailed, coordinating design motifs, all finished in consistent rich hues. Door knockers, cabinet pulls, outlet cover plates, door stops, door hinges and are just a few ways to bring Baldwin into your home. Create an updated curb appeal with door accessories or use elegant cabinet hardware for detailed kitchens and bathrooms. 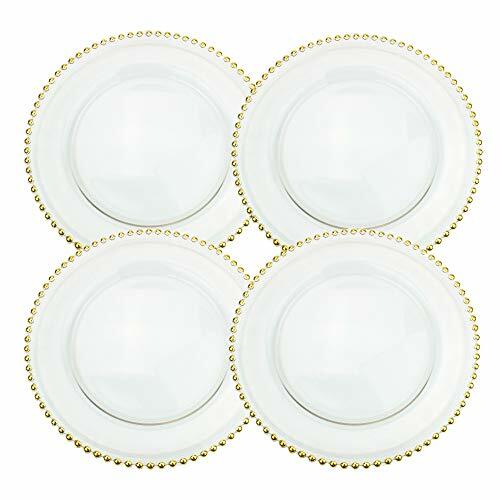 Made of high-quality glass, these round elegant charger plates with a beaded edge add sophistication and glamour to any table setting. 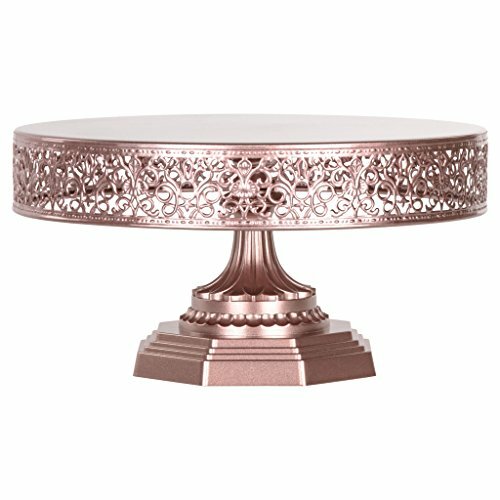 Leave on the table as a place setting to add décor to a room or use under your regular dinner plate for a special occasion. 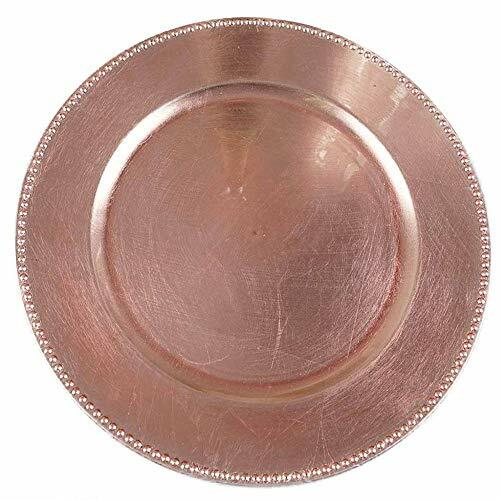 These decorative service plates look stunning when used for a wedding or special event and can be used multiple times. The charger plates come in a pack of 4 and are not made to put in the dishwasher or microwave. This Disposable Plate Dinnerware set is a party must have! Enough for 80 guests. Plates are thick and rigid and won't fold while carrying yummy dishes. The set is 100% Food Grade. Plates are suitable for bridal showers, weddings, family reunions, birthdays, anniversaries, and holiday celebrations. Use it at home, picnics, banquets, school and classroom, barbecues, or company and office functions. Plates are 9 inches in diameter.